Agile is no longer the preserve of startups and software development companies. It's mainstream, and a subject familiar to the CEOs of multinational companies. But the promise of improved speed to market and lower costs isn’t always realised, as it’s supplanted either by the speedy launch of substandard products or a costly cycle of constant rework. Agile must be the bad guy! I would argue that misapplication of agile principles in the delivery of design projects is driving unjust negative PR. A few small tweaks can lead to significantly improved outcomes for you, your business and your clients. Let's take a look at the main reasons agile projects fail, and how you can avoid them. In my experience, agile projects fail not because of a huge blunder or technical flaw but rather an early failure to set expectations. I believe there are three expectations, tied to the Manifesto, that should be clear during the sales process and reset early in the project life cycle. The first faw is related to the concept of the minimum viable product (MVP). Do your clients understand that focus will not be on delivering the full product but on delivering a product to market as quickly as possible? If not, your delivery will not meet client expectations and your agile project will fail. We do this because we believe that seeing an early version of a product live in its natural environment enables us to learn more about developing that product. It’s important we don’t see this as a failure to deliver a quality product, a typical concern of practitioners and account managers alike, but rather a method of delivering the right product as quickly and cost-effectively as possible. The second is the importance of planning and prioritisation and the client’s role in it. A misunderstanding of agile is that it is something fluffy and unstructured, where anything goes. However, in order to get a product to market quickly, clients need to understand that the product doesn’t need to be all-singing-all-dancing; instead a product owner should identify only the key features required to hook early customers and validate the core value proposition. It is the job of those selling and delivering agile projects to help clients understand that compromise is a friend not a foe and make the prioritisation of features, through sprint planning and backlog refinement sessions, feel like an exciting endeavour, not a limiting exercise. The third is helping your clients understand they don’t know what they want. How can a single product owner know, with confidence, every detail about the product they think their customers want? They can’t – and that’s the beauty of agile. Let us not waste time trying to define the perfect solution; instead we should be inviting real customers, through focused design research, into the process of defining product requirements iteratively over time. 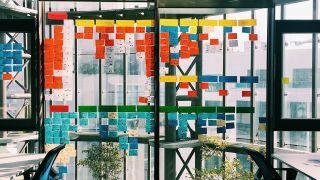 Failing to set expectations is undermining the success of projects, leading to an understandable but unjust condemnation of agile methodologies. I recommend a number of tweaks to improve the success rate of your agile projects. To sales folk, ensure a practitioner with experience of agile projects is involved throughout the sales process. Your clients must understand the values and principles of agile when buying a project. They may not be able to commit to the expectations we have of them and, as such, agile may not be the best way to go. Better to find this out before contracts are signed and delivery teams are underway. To practitioners, embrace the kind of relationship with your clients that agile projects demand. Forget being a supplier and embrace the partnership. Co-locate with your clients, bring them into your meetings and ceremonies, be prepared to challenge them and, metaphorically, spoon-feed them where necessary. If expectations have been set correctly during the sales process, your clients will welcome this level of engagement and the closeness you form with your client should become a rewarding learning experience for you too. Finally, if your agency is new to agile, hire an agile coach. Failed projects cost a lot more than hiring a professional consultant for three to six months. This article was originally published in net, the world's best-selling magazine for web designers and developers. Buy issue 316 or subscribe.